In Toys > G.I. Joe > Show & Tell. OK it should be Navy Corpsman (pronounced Core Man) and I have him in an army uniform. But Hasbro released the set as the Marine Medic Set #7719 along with the Helmet Set #7721 so I have to title the post Marine Medic. 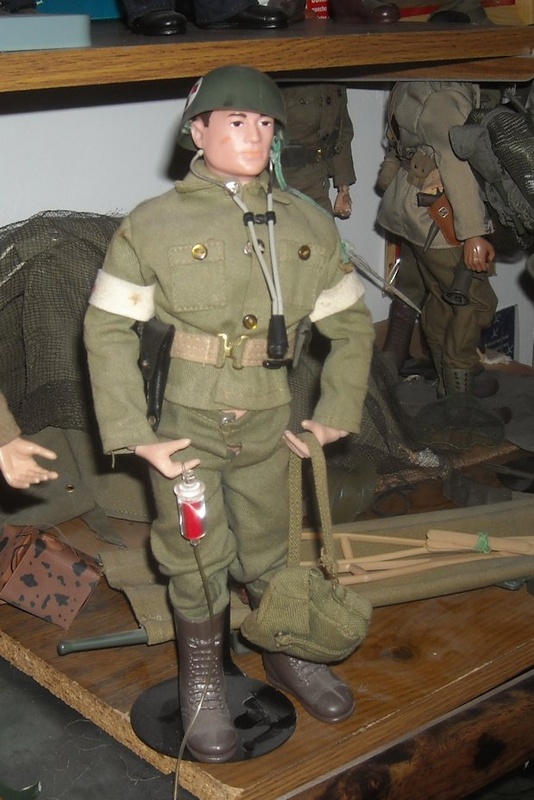 I have him in an army uniform because I have more army uniforms and I am trying to make a platoon. Platoon leader seen wearing an Ike jacket in the first photo. 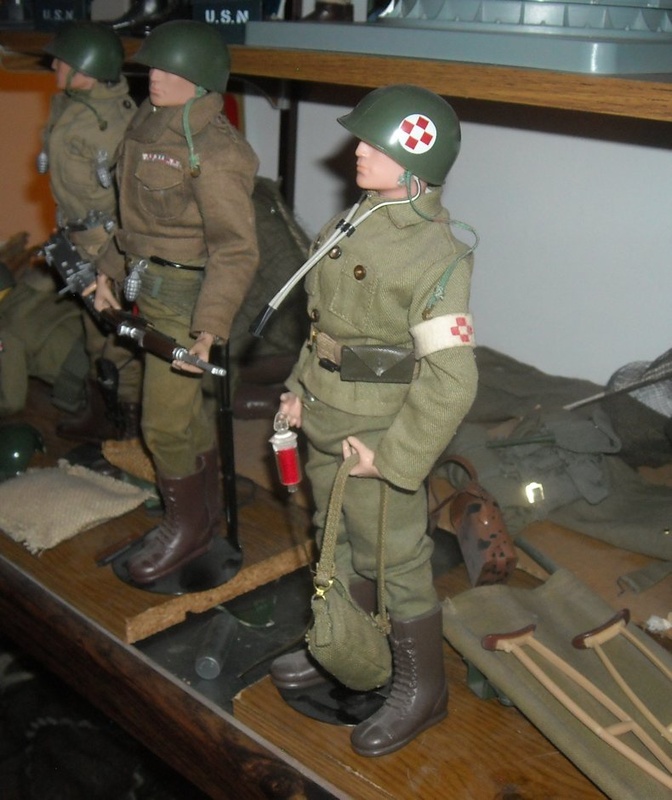 Anyway GI Joe often needed a medic due to frequent wounds and the medic came with tons of accessories. Note I added the .45 because Bob Bush had one. Also don't tell anyone but his medic bag is filled with grenades because it was a handy place to put my loose grenades. 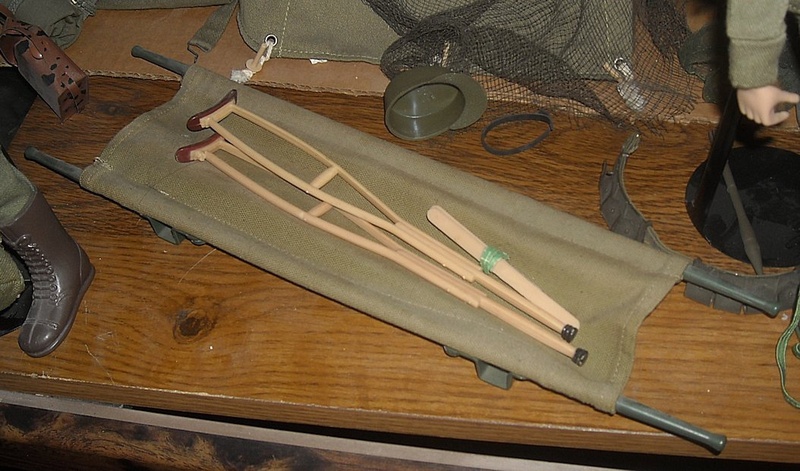 Back to accessories, plasma bottle, stethoscope, stretcher, splints, crutches, armbands, helmet (sold separately), bag, bandages (not pictured), flag (around someplace). Proper Marines to appear soon. Sweet! I was wondering do the gi Joe's have set numbers and if they do is there a book that tells them? This is awesome!!! I wish I still had my G.I. Joe from 1970. Thank you very much jscott0363. Very glad you like my Joe show.